Richard T. Romer believed in right and wrong, in doing things the correct way without cutting corners, and that ethics were of the utmost importance for public safety and the integrity of any profession. Fittingly, Rich worked as a transportation engineer and had over 41 years of experience in the profession. The engineering field was designed for Rich. His career path took him from Scottsdale, AZ to Palm Springs, CA and ultimately to Las Vegas, NV. 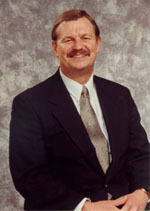 During this time he served on numerous committees and held elected office at all levels within the Institute of Transportation Engineers including International President in 2006. He won numerous awards including the Burton W. Marsh Distinguished Service Award and the James L. Pline Award. Rich’s work on pedestrian infrastructure in Clark County led the development of the Las Vegas “Strip” as it is now. But, in addition to the awards he’s won, the offices he was elected to, and the projects he completed; Rich has led generations of young engineers to continue along his path. His leadership is not only evident in the many offices and positions he held in ITE and other professional societies, but also in the number of students and young professionals he shepherded into these same professional societies. He instilled the importance of balancing professional workload with contributions to the professional societies to further grow the transportation profession. In particular, Rich had a unique knack in indoctrinating students into ITE during conferences and other ITE events. In addition to encouraging his staff and colleagues to join professional societies, Rich encouraged (cajoled, nagged, etc.) many others to complete degrees, obtain advanced degrees and achieve professional licensure. There are many engineers who can trace their careers back to Rich and thank him for the path he started them on. He also stressed the importance of balancing professional life with family life. 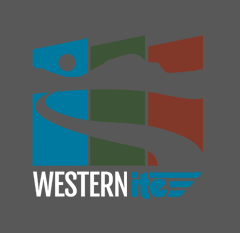 The purpose of the Western District Student Endowment Fund is to ensure a, “stable and continuing flow of students who are excited and passionate in the career opportunities afforded by transportation engineering and planning.” In the spirit of this mission, the ITE Western District Board has voted to rename the fund after an engineer who left behind a legacy of well-trained, well-educated, and enthusiastic ITE professionals.